How to attach the dress ? There are two main ways to put together the facing of a dress. It all depends on the width of the straps and the number of pieces constituting the dress. Using two models: Alicia & Agathe, I illustrate two different techniques. How to attach invisible zippers ? 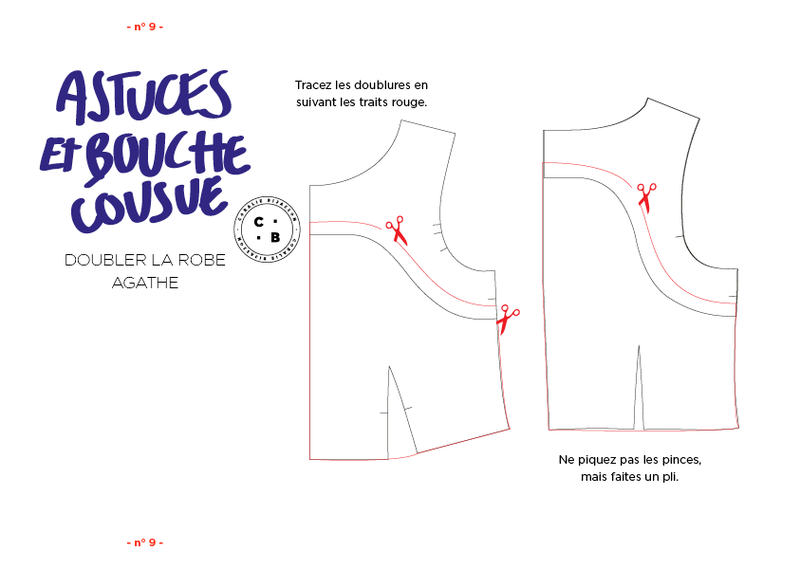 By taking example on the dress Agathe, I show you how to attach an invisible zipper. And no, it's not so difficult! 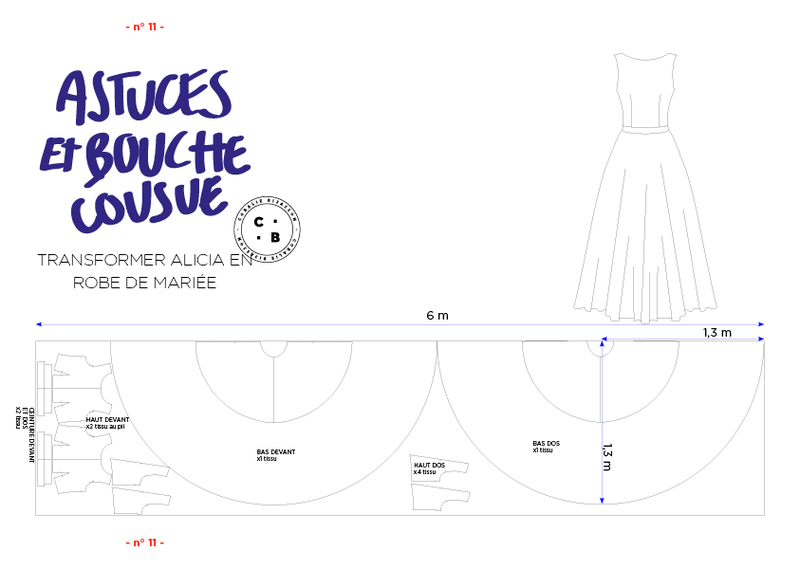 How to line the dress Agathe ? 1. Replace the facing on the tops. 2. Add 2 cm to the rounded bottom of the facing. 3. Do not cut the darts. 5. For the front and back skirts, proceed in the same way as for the main fabric. It will just shorten 2 cm for the lining does not exceed the dress. 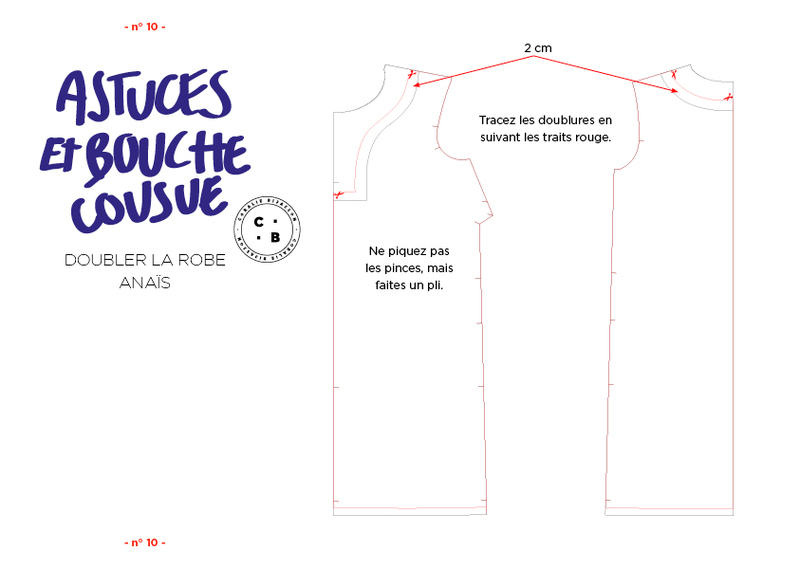 How to line the dress Anaïs ? 1. Carry the facing on the front and back. 4. Shorten by 2 cm the lining by the dress. How to transform Alicia in wedding dress ? 1. Cloth use: 6m in 130cm wide. 3. Carry out the different steps of the booklet.